I finally ditched my Cable TV package and started streaming my TV shows the way nature intended. How did I do it? I signed up for a free trial with Netflix and Hulu-Plus on my PS3, that’s how! But how did it go? Let me spoil the suspense for you: I returned my Cable TV DVR a week later. Now, I’m running my TV on nothing more than media streaming bliss. So how can you flip your expensive Cable TV package the bird? Read on to find out. The first thing you need is a device that will allow you to stream TV media. I just happened to own a PS3 and an old laptop computer, so I’ve hooked both of them up to my LCD TV set. There are Blu-Ray players and other gaming consoles that will let you do this too. The most versatile device will be a laptop or media center PC. Serious computer geeks (like me) might want to build a machine that lets them do this. The best thing about this idea is that you can go to the websites of your favorite TV shows and watch episodes right on the web without paying a cent or having to deal with commercials. You aren’t limited to Windows or Apple computers, either. There are free tools that will turn a Linux box into a dedicated entertainment machine. But if you go this route, you’ll still have to build – and pay for – the machine.1 Still, you’ll get the Linux operating system and software for free. For anyone else who wants the range of options a PC can give them, a decent laptop will do the job. Refurbished ones aren’t hard to get if you want to get the most power for the least buck. Just remember that the old TV your grandma bought you for Christmas back in ’95 probably won’t cut it. You’ll need a TV with digital connectors. 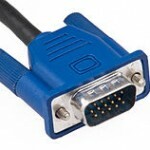 I actually had to use an old VGA port and an external headphone jack to get my old laptop hooked up to my widescreen. In my case, the video isn’t perfect. There’s a barely noticeable amount of tearing from time to time. But I’m not obsessed with perfect video quality. Considering that I dropped my Cable bill by $147 a month by using old equipment I already had, I’m happy. College ain’t cheap, kids. Remember that. 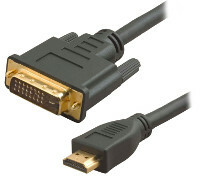 If you can find a laptop or a video card for your computer that uses something like DVI or HDMI, that’ll be the way to go. Let’s cut to it: you want Netflix. Big time. Hulu-Plus was, for me, a waste of $8 a month. Read the fine print with Hulu-Plus. If you read other reviews about both services, you might conclude that both services are roughly equal. But it’s all lies, I tell you! When I read the reviews, I was led to believe I’d be watching House and new episodes of Alphas, The Dog Whisperer, and more on Hulu-Plus. They were all very, very wrong, however. Alphas on Hulu only lets you watch a small number of recent episodes and you can only watch them on a PC, not a PS3 or other device. Note you can already get several new episodes of Alphas on the show website without paying a dime. So why pay Hulu for them? 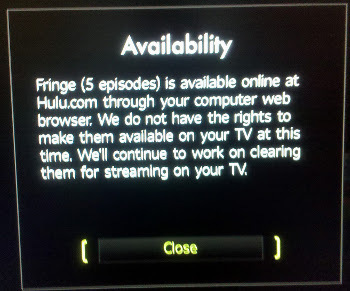 Worse, you can’t get House on Hulu-Plus at all. Yes, both shows are listed in Hulu’s lineup. But if you click on House, all you’ll get is a message asking if you’d like to be notified when – or if – House ever comes to Hulu-Plus. There are a number of shows that are listed on Hulu-Plus that you can’t actually watch on Hulu. Or, as with Alphas and The Dog Whisperer, you can only watch them on a PC. Good thing I paid attention to the fine print during Hulu’s measly one-week free trial (UPDATE: It’s a measly two-week trial now) or I’d be seriously miffed. Trust me, unless you want to watch reruns of I Love Lucy or movies that Mystery Science Theater 3000 made fun of back in the day … without the MST3K commentary … don’t bother with Hulu-Plus. Yes, they do have The Daily Show and The Colbert Report, but you can already watch them online for free. Sure, you can get them in HD with Hulu, but Hulu makes you watch them with commercials. At their respective websites, you can get both shows commercial free if you have a PC or a laptop in your living room. Did I mention that Hulu-Plus has commercials? Never forget that. Even if you pay Hulu, you still have to deal with commercials. 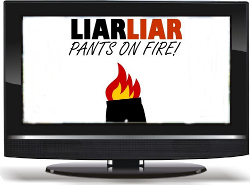 After years of watching TV on a DVR, a lot of you won’t like that. The worst thing about Hulu-Plus was that the commercial’s kept stuttering. Sometimes, even the the TV shows would pause, play, and then pause again, despite the fact that I’m using a high-speed Cable connection. Note that while I’m still using Cable for my internet connection, I know others who are using DSL with Netflix and it works fine. I have never had this problem with Netflix, even if my computer was downloading something in the other room. In fact, I’ve watched Firefly via Netflix on my PC while my wife was watching Poirot on Netflix in the living room simultaneously without problems. Hulu-Plus just isn’t as versatile. Unlike Hulu-Plus, Netflix has plenty of shows and movies that you’ll actually want to watch. The selection isn’t perfect. You’ll be watching last year’s episodes on Netflix and they don’t have everything yet. But again, if you want this year’s episodes of your favorite shows, you can just get them from the show website on your PC. That goes for shows Netflix doesn’t offer as well. There is a problem with the interface for both services, and it needs to be addressed. Neither Hulu nor Netflix offers users many ways of organizing their shows. The closest either service has to a favorite’s list is an instant que, which will quickly fill up with 100+ shows and movies because you have no other way of marking them on a device like my PS3. You can save the links to these shows in your browser’s favorite list if you’re using a PC, but on other devices, this is a problem. Somebody needs to fix that big time. If you’re using a device like my PS3, you can’t browse the selection of either service while you’re watching a TV show, either. That’s the one thing I miss about my old DVR. So whatever you do, you’ll want to get Netflix. And don’t do anything illegal! It would be a shame if you looked up stuff like Usenet or Project Free TV on Google. Because that would be wrong. 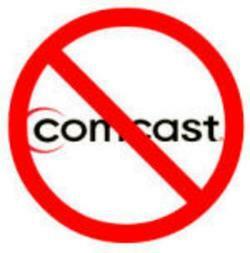 I have had three different TV providers in the last 13 or so years. You want to know what they all had in common? They were all more than willing to lie in order to keep me as a customer, that’s what. When you call your TV provider to ask how much they’ll charge you if you drop their service (if you’re still in a contract with them, that is), or even if you just want to cut back your service (if you’re keeping Cable internet but dropping Cable TV, like I did), they’ll come up with a number that could be as much as double the real figure. If the price sounds unreasonable to you, then don’t fret. It’s probably bogus. Sometimes, TV providers are full of crap. I was paying $270 a month for Cable. That included everything: phone, internet, and pay channels like Showtime and HBO. When I called to ask what the price would be if I dropped all the TV shows and handed in my DVR, they told me it would be about $118. Or I could reenlist – as if I were a new customer – for $99 a month. That meant I could keep all my services, but my Cable bill would go back to $270 the following year. For a 40-year-old guy with a part-time job going back to college, that wasn’t good enough. So I passed. Guess what my first Cable bill was? Only $80 for the first month. And I only turned in my DVR after two weeks of that month had passed! I had similar experiences when switching back and forth between satellite service providers before I went with Cable. Both companies exaggerated the fee I’d pay if I canceled my service before my contract ended. So remember kids, Dr. House was right: everybody lies. Install Netflix on your game console or Blu-Ray player. Or even better, get a laptop or a PC and hook it up to your TV set. Then return your Cable or Satellite DVR and watch your bank account get bigger at the end of each month. Don’t believe them when they tell you how much it will cost you. Now go home and enjoy Netflix. It only costs $8 a month! And unlike Hulu, it’s commercial free. Update: You can get the Chromecast, a little device that plugs right into your TV’s HDMI port and that wirelessly sends Netflix programs from your computer, laptop, or smartphone, for like $35! Tagged Cable, Comcast, DirecTV, Dish Network, DVI, DVR, HDMI, Hulu, Hulu-Plus, laptop, Linux, Media Center PC, Netflix, streaming, tv, Windows. Bookmark the permalink.